Getting daily vitamins is important for people both young and older. Kids need vitamins to help grow and develop while adults need vitamins to maintain good health as we get older. Now, in today's rush mode world I'm sure some of you can admit not getting as much vitamins as we are recommended to and I am happy there are options out there to help busy families get their vitamins on a daily basis. We take multivitamins for most of our daily needs but what about vitamin D? We all know that the sun is a natural way to get vitamin D but it's not recommended for anyone let alone babies and young kids to be exposed for enough time it would take to get a daily dose. Vitamin D is associated with normal development and maintenance of healthy bones and teeth. Bones and teeth need the important minerals like calcium and phosphorus, and vitamin D helps growing bones absorb these minerals. Vitamin D is now considered a factor in good health. Babies under the age of 1 year who are not consuming 960ml a day or more of vitamin D fortified milk need 400IU vitamin D. Children aged 1-8 need 600IU per day. Kids aged 9 up to adult age need also 600IU a day. PTPA award winning Ddrops give you what you need and they make it so easy! 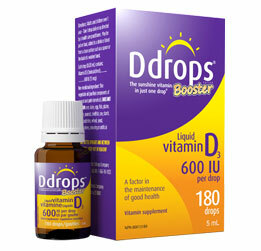 Ddrops are a convienient and easy way to get everyone in the family their daily dose of vitamin D quickly. 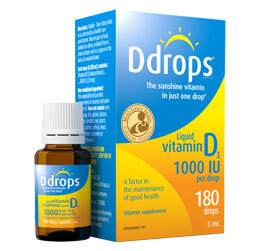 Ddrops is the sunshine vitamin in just one drop. Ddrops are tasteless and odourless with no artificial flavours and no preservatives added. You can add Ddrops to a food, drink or take it directly by licking it off a spoon or the back of a clean hand. Simple and it takes no time out of your busy day plus you'll feel better, more energized and have peace of mind knowing you took an extra step toward better health for your family! 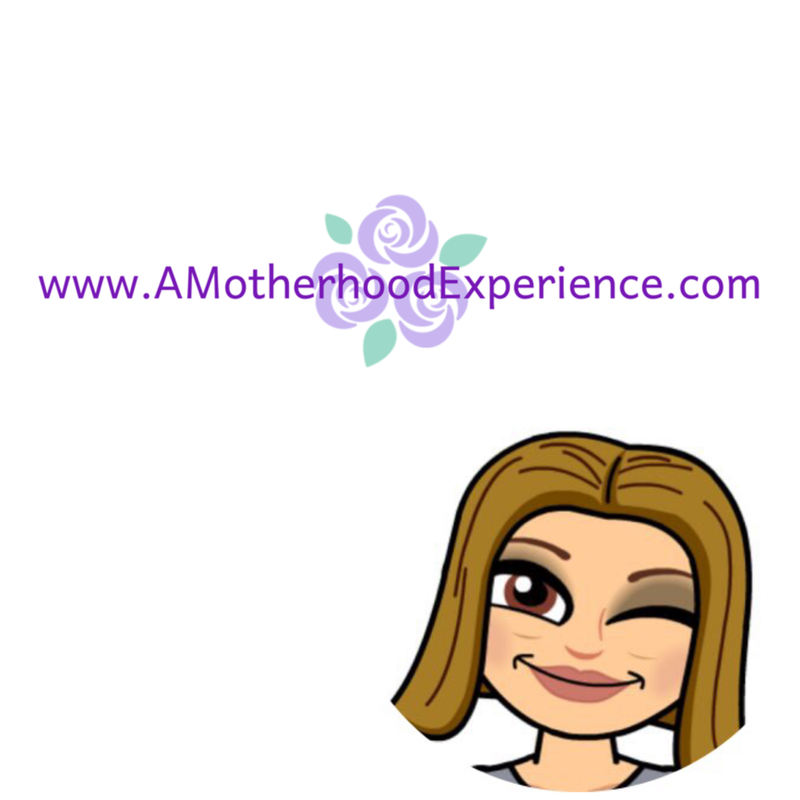 There are five different types of Ddrops available at most drug stores including Baby Ddrops 400IU, Kids Ddrops 400IU, Ddrops 1000IU, Vegan Ddrops and one we reviewed, Ddrops Booster 600IU. The only family member who is not benefiting from Ddrops is our month old baby girl. She drinks fortified formula and does not require any extra vitamins but my older two kids have started getting their morning drop as well as hubby and myself. Being it winter we all need the boost! Check out the entire line of Ddrops by visiting their website and also follow @BabyDdrops on Twitter and Like Ddrops on Facebook for more info and promotions! Disclosure: Posted by AME on behalf of Ddrops. We received complimentary product for review purposes. Opinions and comments on this blog are those of the author. Everyone in my family could benefit from Ddrops. We can get our daily dose of Vitamin D from Vitamins. We get our vitamin D mostly from milk, yoghurt and eggs, but I am certain we don't get enough. My daughter got D drops while breastfeeding but I've never taken them myself. Food for thought on this wintery day! 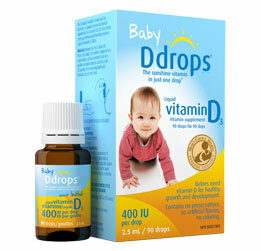 My daughter would benefit from the D drops - she has a drop everyday in her milk. She also gets Vit D mostly from the milk itself and the yogurt she often has. These would be prefect for our two little ones! My daughter would benefit from more vitamin D, she gets it now from her milk. Milk and some juices are fortified with vitamin D, and it's in egg yolk and some fish. It's not always easy to get enough so my whole family would benefit from Ddrops. We take a multivitamin daily to help ensure that we get enough vitamin D in case our menu is a little lacking. If I won, I'd give it to my grandkids - they take Ddrops every day. we drink fortified dairy products and sadly everyone in my house could use more vitamin D! Dairy products are a good source as well as taking a multivitamin everyday. Our whole family could benefit from D Drops. WE use Ddrops to make sure we get enough vitamin D. I think everyone in our home would benefit from using Ddrops, especially the baby. We get ours from Ddrops! This would be great for my own M! Found that on Ddrops site. Other places to get Vit D is milk and yogurt as for who in my family would most benefit...I think everyone would! Especially my children! We get vitamin D mainly from dairy. My hubby, older son and I take vitamin d tablets everyday. Our baby would benefit most from this. My infant son is breasfed so he need a Vitamin D supplement.